FAIRFIELD, Calif. -- Torture, child cruelty, child endangerment -- all charges a Fairfield couple now face after the discovery of ten children living in squalid conditions at their family home. "I strive and I thrive on being a good parent to my children," said Ina Rogers, the accused mother. She says accusations that her ten children have been tortured are "ludicrous." Her husband and father of their children, 29-year-old Jonathan Allen, is being held on $5.2 million bail for seven counts of torture and nine counts of child cruelty. Rogers herself has been arrested for child endangerment but is out on bail. Police say the investigation began when they searched the family home after one of the children was reported missing. Fairfield police held a press conference regarding 10 children who were rescued after being allegedly abused by their parents. He was later found, but officers say they were disturbed by the family's living conditions: Garbage, spoiled food, human and animal feces throughout the house. Since then, investigators say they discovered the children had been tortured for "sadistic purposes." "The children described incidents of intentional abuse, resulting in puncture wounds, burns, bruising, and injuries consistent with being shot by a pellet gun or a BB gun," said Lt. Greg Hurlbut of the Fairfield Police Department. 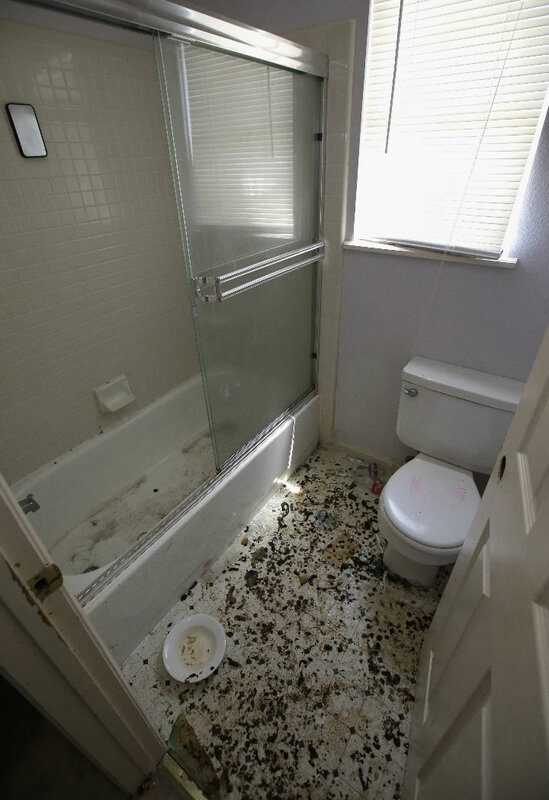 The bathroom is strewn with feces at a home in Fairfield, Calif., May 14, 2018, where authorities removed 10 kids and charged their dad with torture and their mom with neglect. Investigators say the children, ages four months to 12 years old, were interviewed by professionals but their mother insists there is no proof. "I will take my children in and get physicals on them, give them X-rays, do whatever you have to do," Rogers said. "You will find nothing." The district attorney says more charges could be filed against the children's mother.